Ahmed and I just bought our first car together, and we’re heading out soon on a tour through Missouri, Ohio, Kentucky, and Tennessee in the second half of March. (I’ll also be at the Sabeel Conference in Portland April 4-5.) We’d love to see some of you along the way! If you have any questions, please don’t hesitate to be in touch: pamolson (a) gmail. 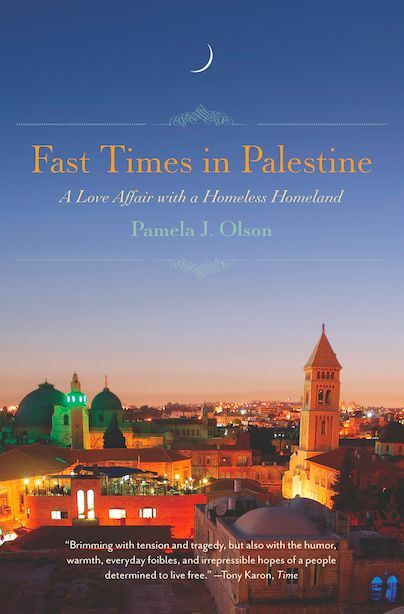 You can learn more about Fast Times in Palestine on the book’s website. I’ll also be speaking April 4-5 at the Sabeel Conference in Portland. The line-up is incredible and includes Max Blumenthal, Miko Peled, Dr. Mads Gilbert, Mazin Qumsiyeh, Cindy and Craig Corrie, Rev. Dr. Naim Ateek, Chris McGreal (one of my favorite journalists when I lived in Palestine), Phyllis Bennis, Mark Braverman, Josh Reubner, Rev. Don Wagner, and many others. I can’t wait! Details and registration can be found here. It should be an amazing gathering.